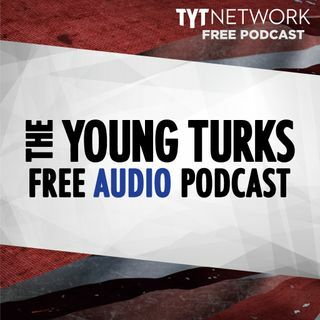 A portion of our Young Turks Main Show from March 20, 2018. For more go to http://www.tytnetwork.com/join. Hour 1: Texas bomber. Maryland school shooting. GOPer who said “skinhead lesbian” dropped from Maine race. Fox news commentator just quit the “propaganda machine”. Cynthia Nixon running against Cuomo in NY. Cynthia Nixon for Gov. Philly DA Larry Krasner, dismisses 31 from Philly DA’s Office. Kentucky teacher strike. Gov Bevin on radio show–Teachers like greedy ppl in WWII rationing times. ... See More Gov Bevin trashing teachers as well paid, ignorant, & blind. Hour 2: Mueller, McCabe, Trump tweet storm, Hannity. Hannity on Fox&Friends, pushing morning propaganda against investigators. Hannity toes Trump Admin line that he wont fire Mueller, no one said he should. FLASHBACK Hannity suggesting Trump should fire Mueller multiple times. Lindsey Graham–Trump firing Mueller would be beginning of end of Trump. Rep Charlie Dent–Agree w/Graham, it would end Trump Presidency. Napolitano–Firing of McCabe looks pretty bad, wreckless & vindictive. Rick Tyler–Trump will fire Mueller and GOP will do nothing, Ruhle goes crazy. Trump gave CIA position to Cohn then took it back. Trump announcing Cohn leaving–Have a feeling you’ll be back. Bevin tries explaining cutting teachers pensions w/o insulting them. Kushners’ cadre startup benefited from misleading rent filings. Dem lawmaker: lets grab our guns in case of Trump. Tom Suozzi–Break out the 2nd Amendment if Trump ignores courts, rule of law. Trump campaigning in 2016–2nd Amendment ppl can stop Hillary. NYT: black men do worse than white men even if they are from same socioeconomic background. Bruno Mars accused of cultural appropriation. Interracial marriage poll: 20% think it’s wrong. Politician blames weather on Jews. Trayon White climate change. Lawmaker doesnt want to arm female teachers.